Big up fam’, Kinman back here with some fresh beats to put through your system. Today I’ve got some funky future-bass music that I wanted to highlight. Today’s EP comes from the young Bristolian Majora. This cat has been turning heads lately with tunes like his collaborative effort on 877 Records with My Nu Leng – ‘Hips N’ Thighs’ – that was released back in November of 2012 and also his remix of ‘No Reason’ that was featured on Loft Party Records. 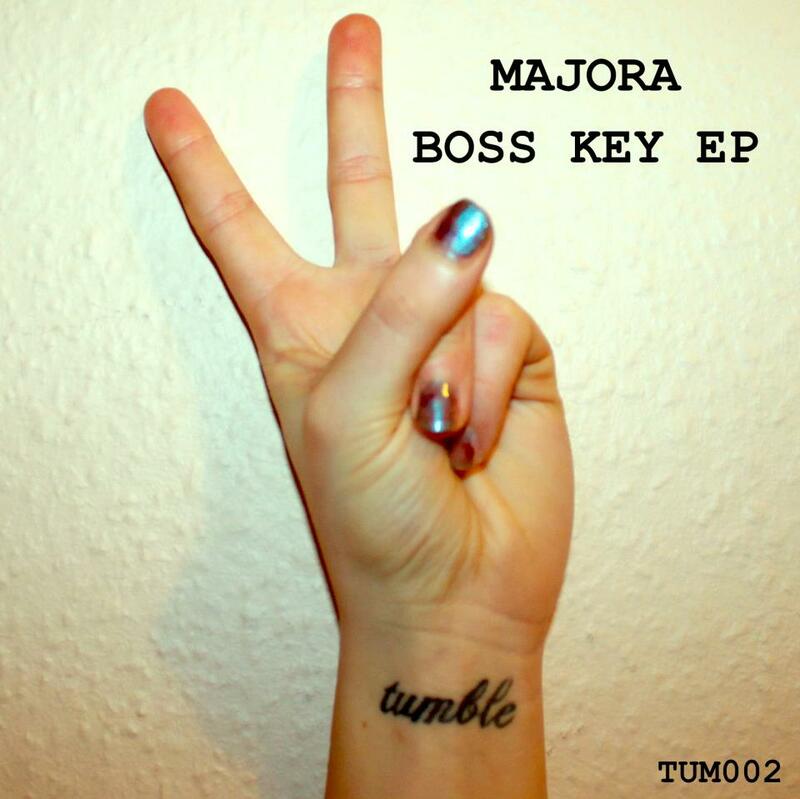 This solo EP on Tumble Audio sees the signature take of bouncy bass grooves, chopped vocals, and brilliantly placed percussion of the high-end that Majora has been widely acclaimed for. The two most stand-out tracks for me are ‘Satisfied’ for it’s club aesthetic whilst infusing slumping basslines and ‘Just Listen’ for it’s infectious reverb-soaked strings and percussive progression. “The “Boss Key EP,” his debut solo release, takes up where “Hips n Thighs” left off. Weaving between and combining elements of UK Funky, House, Grime, ice cold Electro workouts and even Trap, Majora creates a wholly satisfying and unique inclusion into the UK Bass music cannon, injecting a fresh life and energy into a genre seemingly in stasis at the moment. The EP dropped officially on Monday February 18th, 2013 and is available for download at all major online retailers. I’ve provided a few links below for those who are feeling this sound. Also, don’t forget to stay connected with Majora and Tumble Audio via their respective social media outlets! You can catch Majora on Rood FM every Monday from 4-6pm GMT. I’ll catch you lot next time!